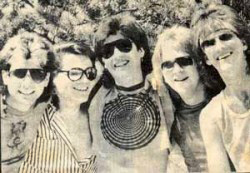 1981-1983 -This was the first band formed in Santa Fe. 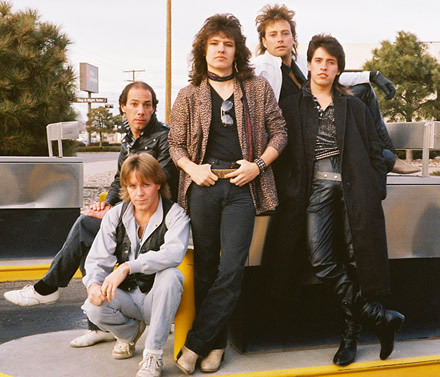 The group started as an original rock band but also incorporated various covers to complete a 2-hour stage show. They were the first rock band in Santa Fe to producer their own rock concerts at the Armory For The Arts. 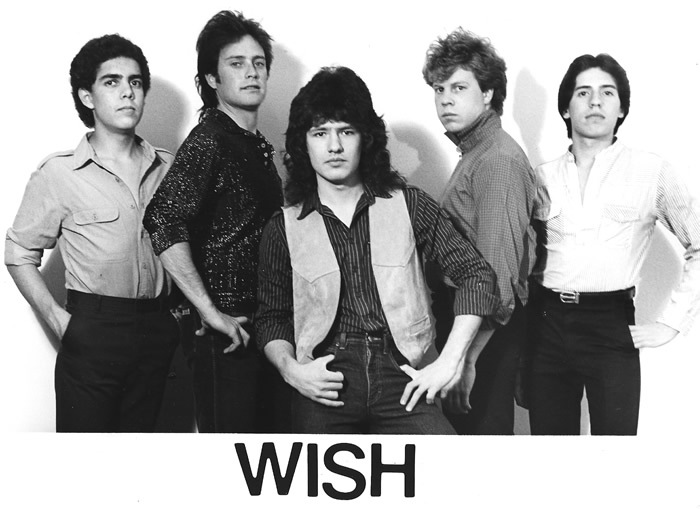 The first WISH band (1981) featured, (L to R): Gary Cook (guitar), Alan Medrano (drums), Andrew Gallegos (bass) and Kenny Romero (vocals/harmonica) in front center. Jeff Donohoe, Bass and Vocals(February 2007) - As an update (my version) of the Wish / Third Wish story... I started writing songs with Gary Cook (Guitar/Vocals) and Brent Valentine (Keys) in the Spring and Summer of 1985. I had played with Brent in Face to Face in 83 and 84. Brent was one of the two keyboard players in Face to Face (very cool sound with two keyboard players). Gary had played with One of a Kind that had formed around the Face to Face drummer (Bob Gordon) and the other FTF keyboardist (Mike McDade). One of a Kind also featured John Herschkorn (vocals) and Bob Sweet/Jeff Johnson (bass). I met Gary while he was playing with my old FTF band mates. When Gary left One of a Kind after doing the winning song (Time Again) for the Strohs/MCA Records Talent Search, he wanted to work on more original stuff, so we started collaborating in my kitchen on Garcia street. We were exploring styles that we had never really messed with before, and when Gary and I combined our writing with Brent’s very stylistic keyboard playing, we ended up with a sort of rock/jazz/fusion feel that was a lot different from the mainstream rock we had been used to playing. We started recording our sessions, sometimes with Bill Veitch on drums, and we laughed a lot (especially when Brent did his infamous chicken impersonation). 1985-1986 THIRD WISH w/ Jeff Donohoe and Brent Valentine - This was the most progressive of all the bands. Combining hard rock with jazz/fusion for a unique live show with great musicianship. The band recorded some original demos at Ricci Dustin's studio and in the kitchen, bathroom and shower at Jeff's house. Jeff has photos of Gary and all his gear crammed into the shower stall with a mic (an impromptu method of creating natural re-verb for the guitar solos). 1986 also saw the band's return to Club West in Santa Fe along with a totally different sound. Mark Simma (drums), Gary Cook (guitar), Kenny Romero (lead vocals), Carlos Cordova (bass) and Derek Hilland (keyboards). Also, not pictured is Thor Spangler who played bass guitar briefly before Carlos joined the band. 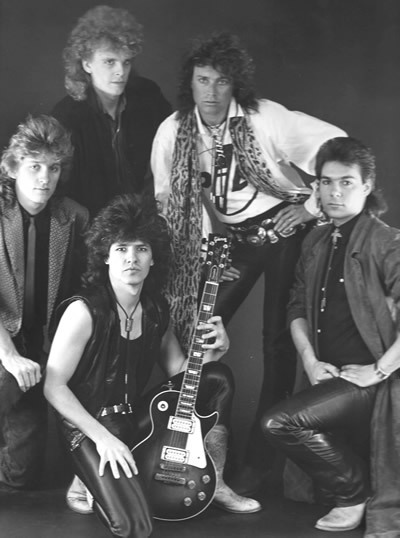 Gary Cook and Kenny Romero remained as core members throughout the history of the band. 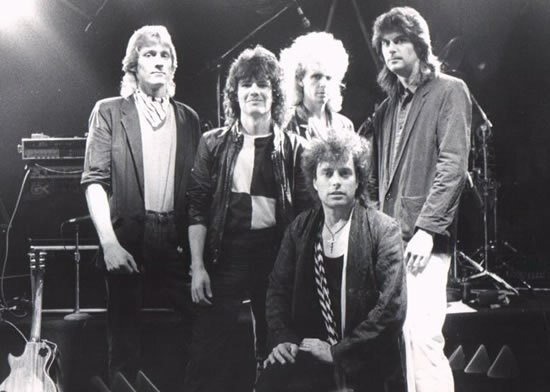 The group’s final performance was at Senior Buckets in Fall of 1987. Jeff Donohoe, Bass and Vocals (February 2007) - Third Wish was the first of three bands ( * ) I played in with Eddie, who later went on to Vegas where he played with Tower of Power, Ricky Martin and spent several years playing with Clint Holmes, the headline act at Harrah's (I'm very proud of Eddie, he is an amazing drummer). Incidentally, Ricci Dustin, an Albuquerque Sound Tech (Showtech Inc) who worked with a lot of the bands on the New Mexico Band History Site, was Clint Holme's sound man until Clint left Vegas. Ricc is still the sound man at Harrah's as we speak. Wes Wesson, (the Off The Wall Warehouse-Party-Doorman-Turned-Sound-Guy) who ran sound for Third Wish, went on to Nashville where he ran sound for Marty Stuart and toured with The Charlie Daniels band for many years. Last I heard, Wes had settled in Austin. Third Wish played well into 1987 (maybe 88). I played Bass and sang with Third Wish until July of 1986 when I was replaced by Thor Spangler and later Carlos Cordova. Brent Valentine also left in 86 and was replaced by Derek (Daaakkk) Hilland who now plays keyboards for Rick Springfield after several years in LA and on various world tours with Iron Butterfly and David Coverdale of Whitesnake. Third Wish was Derek's first real "Rock" gig, and he had to borrow money from his dad to buy equipment because he didn't have ANY when he joined the band! He was right out of high school and also had very little hair at the time…but boy did it grow. Derek and I later became roommates and played together in 87 and 88 in The Exchange with John Herschkorn, Bill Veitch, and Dave (Adonis) Thomas. Eddie also left Third Wish sometime in 87, and he was replaced by Mark Simma. Gary Cook went to LA where he attended Groves School of Music, became the VG-8 expert for Roland Corp and headed up the Guitar Department for Yamaha for several years. Gary has worked with a diverse list of artists including Sting, Joni Mitchell, Clint Black, Neal Schon, Mike Elizondo, Scott Reeves, Greg Adams, Igor Len, Andrew Strong and a host of others. (Visit his site, listed at the end of this page). 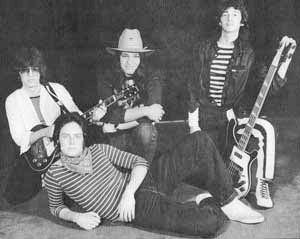 One of A Kind pictured (L to R): John Herschkorn (vocals), Bob Gordon (drums), Gary Cook (guitar), Michael Mcdade (keyboards) and Bob Sweet (bass). When Gary left One of a Kind after doing the winning song (Time Again) for the Strohs/MCA Records Talent Search, he wanted to work on more original stuff, so we started collaborating in my kitchen on Garcia street. We were exploring styles that we had never really messed with before, and when Gary and I combined our writing with Brent’s very stylistic keyboard playing, we ended up with a sort of rock/jazz/fusion feel that was a lot different from the mainstream rock we had been used to playing. We started recording our sessions, sometimes with Bill Veitch on drums, and we laughed alot (especially when Brent did his infamous chicken impersonation).